April 17th is observed as World Hemophilia Day every year. The theme for 2019 is “Reaching Out: The First Step to Care” to spread awareness about the condition and its treatment and management. Hemophilia is a rare bleeding disorder that affects the ability of the blood to clot. This causes the person to bleed for a long time due to deficiency of a clotting factor VIII or factor IX. This deficiency can cause recurrent bleeding into joints and muscles post an injury, or surgery. According to 2014 study published in the Indian Journal of Medical Research, bleeding disorders affect around 1 in 1000 people all over the world and hemophilia is one of the most prevalent types of bleeding disorders. The World Federation of Hemophilia estimates that there are 4,00,000 individuals worldwide with hemophilia. 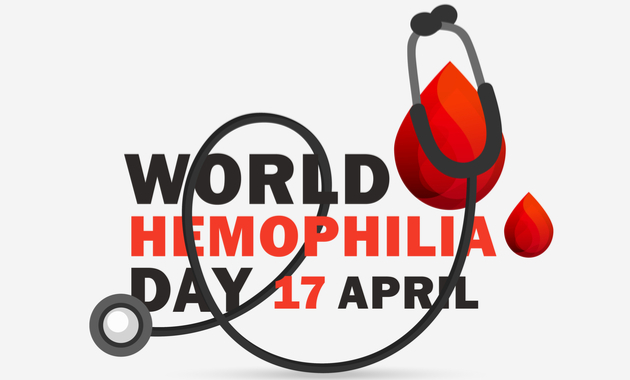 Of these, it is estimated that around 80% of people with hemophilia are present in developing countries like India. At present, Indian hemophilia (Bleeding Disorder) registry has close to 20,000 hemophilia patients across the country and it is expected to increase to 85,000–100,000. As hemophilia remains under-diagnosed, many cases are not registered which is the reason for the minimal cases of this disorder being registered in the country. This World Hemophilia Day, learn some of the key factors about the disorder to be aware of the condition. Hemophilia A: Also known as classical hemophilia, it occurs due to a mutation in the coagulation factor VIII gene. It comprises around 80% of the total cases of hemophilia with a prevalence rate of 1 in 5000 male births. Due to gene mutation, there is a deficiency of the clotting factor VIII which prevents normal clotting of the blood. Hemophilia B: It is also known as Christmas disease and is comparatively rare than hemophilia A. People suffering from this disorder lack coagulation factor IX due to a gene mutation. It comprises approximately 20% of the cases and the prevalence of this disorder is 1 in 25,000 male births. It is an X-linked disorder which can be inherited from the mother. A family history of maternal uncles or males affected with the disease in the extended family can also be seen. It can also be caused due to an acquired gene mutation in people with no family history of the disease. Approximately, 30% of the patients have no family history and are a result of new gene mutations. Patients with hemophilia are broadly classified into three categories based on the levels of clotting factor in the blood. The normal levels of the clotting factor are 50-150% (or >0.50 to 1.50 IU/mL). Severe hemophilia is the condition when patients have less than 1 percent of normal clotting factor levels. Moderately severe hemophilia is said to the one where the level of clotting factor is 1-5 percent of the normal clotting factor levels. Mild hemophilia is when a person with hemophilia shows 5-40 percent of normal clotting factor levels in the blood. The key clinical features of hemophilia include bleeding into soft tissues, muscles, and joints. People with mild and moderately severe hemophilia generally bleed after significant trauma or major surgery, whereas those with the severe form may bleed spontaneously or after minor trauma. Book a blood test online only @1mg Labs at affordable prices! How Is Hemophilia Diagnosed And Treated? The first and foremost thing that your doctor might ask you is whether you have a family history of hemophilia or have a clinical history of bleeding. Your doctor may perform a physical examination to check the joints and advise blood tests to detect deficiency of a clotting factor. The list of tests recommended includes screening tests to measure the clotting time called PT and APTT. If the results of APTT show prolonged clotting time, then a specialized test to detect deficiency of clotting factor VIII and IX and the level of these factors in the blood is determined. These tests will help your doctor to know if hemophilia is present, the type of hemophilia and its severity. If you have a family history, then prenatal screening tests and genetic tests can help in the detection of the disorder. Once the diagnosis is confirmed, your doctor might advise treatment and management options. It is important to know the type of hemophilia as treatment options (injections) differ. The key treatment approach is called factor replacement therapy. In this, the deficient factor is replaced by clotting factor VIII and clotting factor IX. These factors are segregated from blood donated by blood donors and purified before use. In some cases, recombinant clotting factors are used which are made artificially in the lab. The dosage depends on the severity of the disorder, the age, and weight of a person. In case of pain and swelling in the joints caused due to swelling talk to your doctor to know the right medicine and treatment. Living with hemophilia requires proper care so as to prevent any injury as it may lead to severe health complications. Also, regular exercise as advised by experts can help improve muscle flexibility and strength along with helping you to maintain weight. But care should be taken while doing physical activity. Special care needs to be taken for kids who are more prone to fall due to playing or are at high risk of injury. Do not take any medications without prior consultation with your doctor as medicines such as aspirin and ibuprofen can increase the risk of bleeding. This World Hemophilia Day, let’s create awareness about the disease. Do your bit by liking and sharing the article with everyone you need to raise awareness. 1. Kar A, Phadnis S, Dharmarajan S, Nakade J. Epidemiology & social costs of haemophilia in India. Indian J Med Res. 2014 Jul;140(1):19-31. 2. Ghosh K, Shukla R. Future of Haemophilia Research in India. Indian J Hematol Blood Transfus. 2017 Dec;33(4):451-452. 3. Payal V, Sharma P, Goyal V, Jora R, Parakh M, Payal D. Clinical profile of hemophilia patients in Jodhpur Region. Asian J Transfus Sci. 2016 Jan-Jun;10(1):101-4. 4. What is Hemophilia?. Hemophilia. The Centers For Disease Control and Prevention.